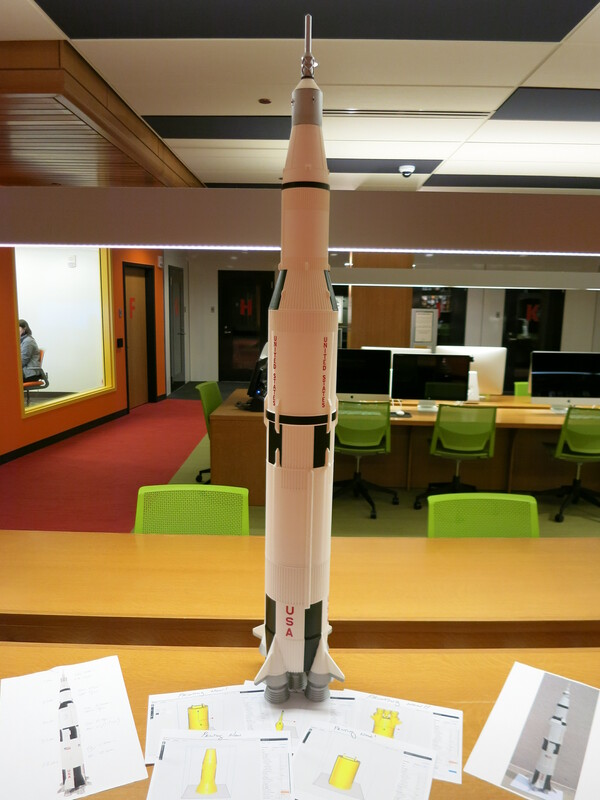 As we prepare to celebrate the 50th anniversary of the Apollo 11 mission, Studio 300 enlisted our CR-10 3D printer to build a 60:1 scale model of the rocket that took us to the moon. 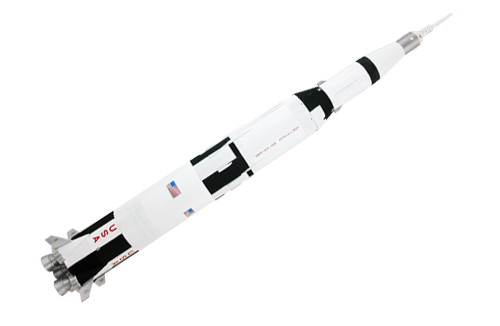 Our version of the Saturn 5 stands six feet tall, weighs 2160 grams (4.7 lbs), and took over 200 hours to 3D print. 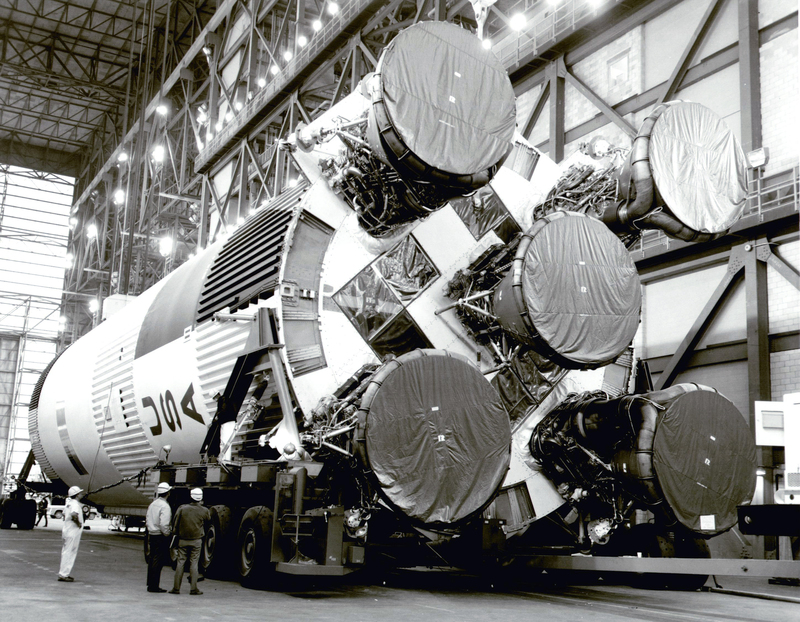 The original Saturn 5 stood 363 feet tall and weighed 6,400,000 lbs. 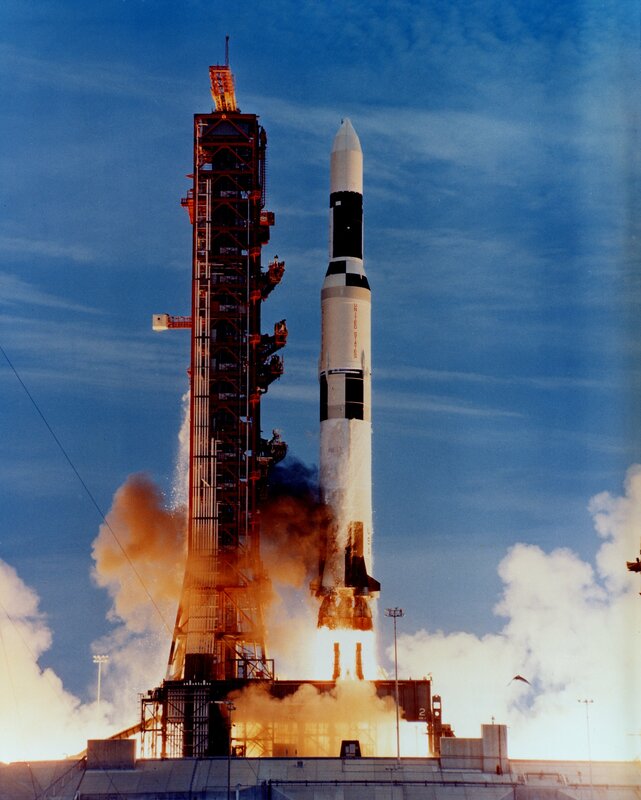 Its five engines produced 7,616,000 lbs of thrust. Visit Studio 300 anytime to see our completed model. Coming next? The Apollo Lunar Module.